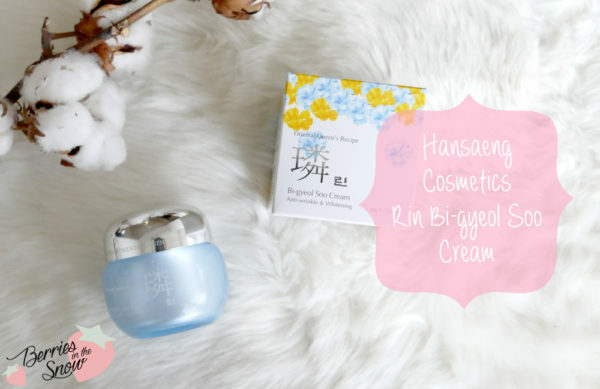 Maybe some of you remember my review of the Hansaeng Cosmetics Rin Bi-Gyeol Yun Cream I did a while ago. The cream had a very rich and nourishing texture and I declared it to be too heavy for me. Now, I received the Hansaeng Cosmetics Rin Bi-Gyeol Soo Cream from BNTnews, a more moisturizing verson of the rich cream netioned before. Hansaeng Cosmetics claims to be a true oriental medicine based cosmetics company with a know-how reaching back to 50 years experience. Their Rin Bi-Gyeol Soo skincare range is a highly functional oriental cosmetics based on fermentation of ginseng- 6 year fermented ginseng and 15 other oriental medicine extracts to be more precise! The skincare products of this range consists of an essence and a cream and can be combined with the other products of the Rin Bi-Gyeol Yun line. Here are the links to the cream and the emulsion that I reviewed before. The cream comes in a luxurious heavy jar with a silver lid and blue color. Unfortunately, no spatula is included. Oh, and I love the cardboard box design with the blue and yellow flowers! 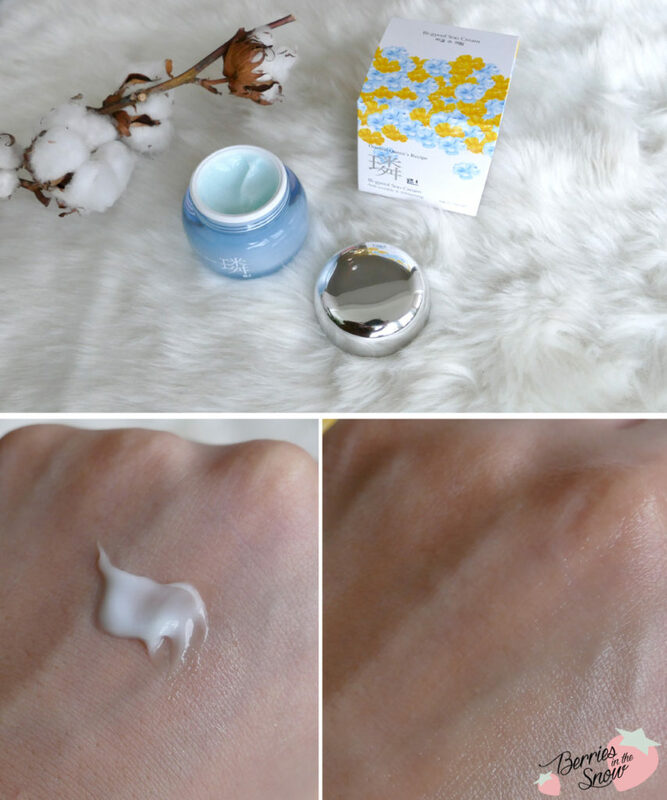 In contrast to the Rin Bi-Gyeol Yun cream the Hansaeng Cosmetics Rin Bi-Gyeol Soo Cream is a super-moisturizing cream for dewy and radiant skin. Both contain the patented plant based ingredients Danwwayeon. Although both creams are similar in their plant based ingredients and key ingredients like hyaluronic acid (moisturizing),niacinamide (brightening) and the lactobacillus ferment filtrate the texture of the two creams is different. 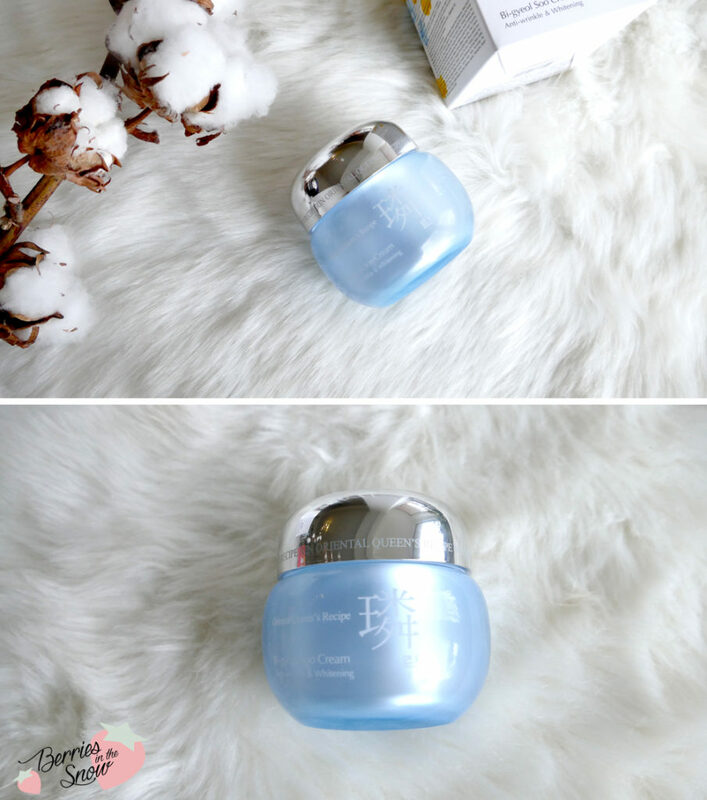 The light blue colored cream feels more moist and refreshing than the heavy nourishing Rin Bi-Gyeol Yun Cream. You can check the ingredients via COSDNA >>here<<. You will find some minor potential acne triggers and irritant but most of the ingredients are green flagged. The scent of the cream is quite strong and unique. It is a flowery scent, but I cannot say which flower exactly. The scent is not the ordinary flower scent though.First I didn’t like it, but I got used to it after a while. From the consitency and the feeling of the skin I prefer the Hansaeng Cosmetics Rin Bi-Gyeol Soo Cream over the heavier Yun Cream. It makes the skin feel moist and still bouncy and smooth. I didn’t like the scent at first though, but I got used to it. Nevertheless, if you are sensitive towards scents this cream is not suited for you. 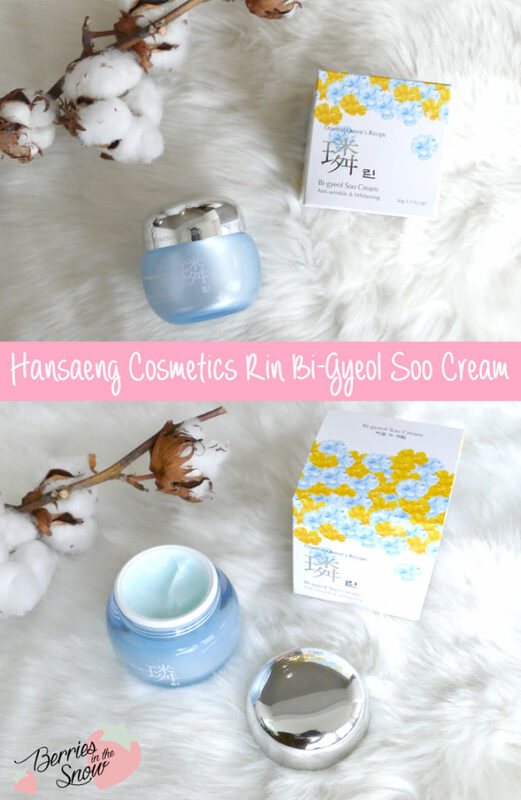 The Hansaeng Cosmetics Rin Bi-Gyeol Soo Cream contains 50 ml and retails for 40.95 US $ from Kmall24. You can find more information in English >>here<<. Viel Freude aucProdukte ja immer so spannend. I just really love the packaging of this! Perfect for winter, and has Frozen-esque vibes. Shame about the scent though.